Electrochaea GmbH, one of the leading cleantech companies in the power-to-gas market, has successfully patented a strain of microorganisms specially developed for efficient biocatalytic methane production. The patent for the EU was recently validated in Denmark, where Electrochaea has been operating the world’s first biological methanation plant with a power uptake of one megawatt, since 2016. 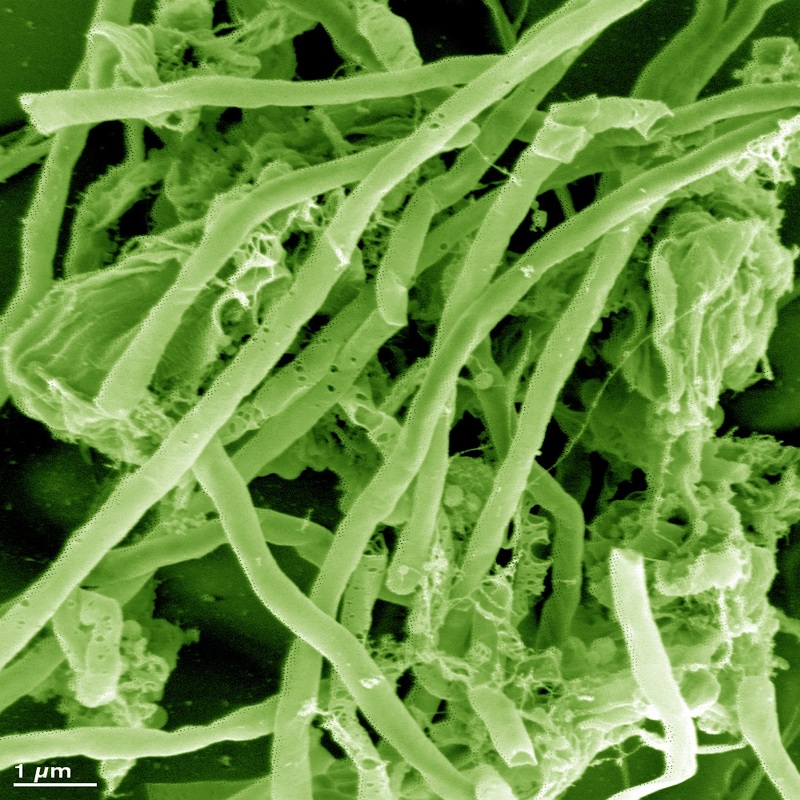 The single-celled organisms used by Electrochaea are called archaea or, more precisely, a variation of the strain Methanothermobacter thermautotrophicus. Along with bacteria and eukaryotes, archaea form the third domain in the tree of life. They are among the most ancient organisms on Earth, yet quite unknown outside of science. These single-celled organisms are rugged survivalists and can adapt to extreme environmental conditions. From a biotech standpoint, the microorganisms’ special metabolic performance is very interesting and can be used in many different ways. Electrochaea utilizes its patented archaea to produce natural-gas-quality biomethane from hydrogen and CO2 at extremely high efficiency. The biological methanation method developed by Electrochaea is a key technology for making the best use of CO2 while simultaneously making it possible to store excess renewable energy from sources such as wind and solar power as renewable natural gas. Costly and wasteful shutdowns of solar and wind power plants that would otherwise be required to prevent an overload of the electricity grid can be avoided and the stranded or excess electricity can be stored and distributed as renewable gas. In the first step, the electricity is used to produce hydrogen (electrolysis). The hydrogen and added CO2 from industrial emissions or other sources are then converted into biomethane by the archaea in a bio-catalytic process. This provides an economically sound use of renewable power generation and natural gas distribution assets. The gas produced by the microorganisms can be used anytime and anywhere to generate heat or to be used as a fuel. The biomethane can be stored and transported via the existing natural-gas grid; as a result, there is no need to build expensive new infrastructure. Until now, commercial application of the technology was not possible because the perfor- mance of the archaea was not adequate or sufficiently stable at large scale. The scientific breakthrough was accomplished by Prof. Laurens Mets of the Department of Molecular Genetics and Cell Biology at the University of Chicago, who evolved the patented strain by a focused selection process. Building on this research achievement, and working closely with Prof. Mets, the Electrochaea team around CEO Dr. Mich Hein managed, in 2014, to develop the technology to the point that commercial use on an industrial scale is now possible. “The results from our large archaea reactor system surprised even us. 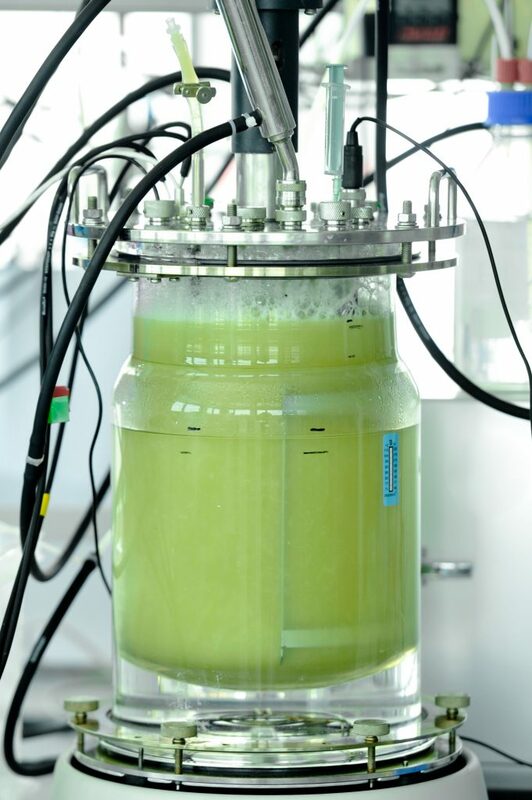 We increased the space-time yield of the archaea by a factor of twenty while keeping the grid quality of the methane constant,” says Dr. Mich Hein, CEO of Electrochaea GmbH. That is particularly important when the method is used on an industrial scale, which is what Electrochaea is now planning. “We can now scale up very quickly with reasonable cost,” explains Dr. Hein. A plant with the capacity to absorb 10 megawatts is now in the planning stage in Hungary. Additional plants are under construction in Switzerland and the USA. Gigawatt-scale plants are feasible by 2025. In addition to the EU patent (European patent No. 2661511), Electrochaea’s strain already enjoys patent protection in the USA and Taiwan. Further patent applications have been filed. Electrochaea offers a key, biocatalysis-based power-to-gas technology with both domestic and international patents that economically recycles CO2 while simultaneously using stranded electric power to produce biological methane that can be stored and used as needed. The first industrial-scale pilot plant is operating successfully in Denmark. The company expects to have plants with more than one gigawatt of capacity up and running by 2025. Electrochaea has 20 employees in Denmark and at its headquarters in Munich- Planegg. The company’s CEO is Mich Hein. Source: Electrochaea, press release, 2017-02-28.